Yesterday was the first official day of summer. School kids start their summer break this afternoon. (And many families with preschoolers started theirs already.) So, it’s time to start looking again at places to have some summer fun. 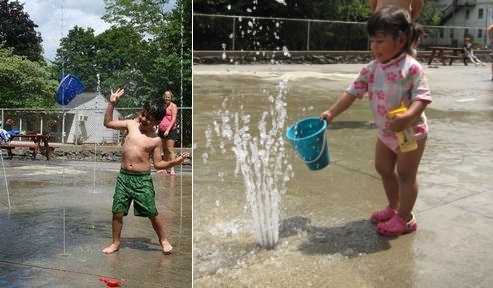 Today, I’ll share some local options for free or cheap water play. My kids love to get wet, but we don’t have a pool. Making do with the sprinkler gets old rather quickly. Luckily, there are some better options nearby. 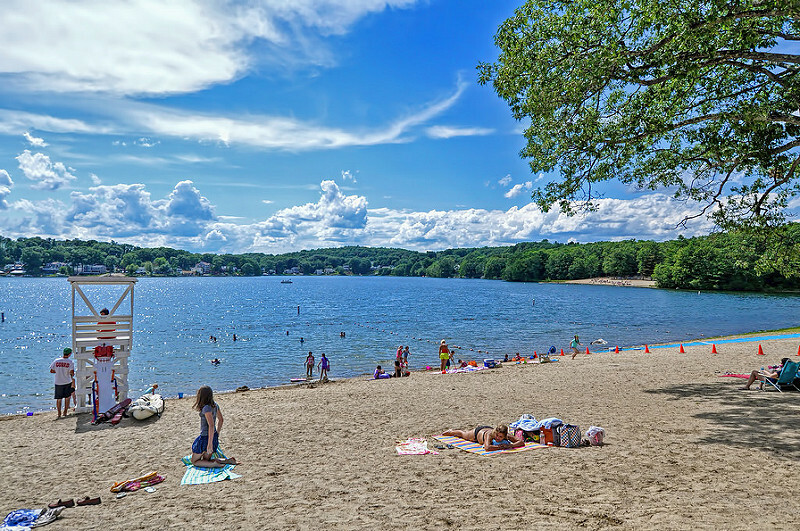 If you’re family is too old for that option (or your kids are demanding real swimming) then you may want to find a beach. No need to drive for hours in traffic. Take advantage of area lakes. If the pass isn’t available that day, for state residents it’s only $8 per car (or $60 for season pass). But if you are going to pay, there are other local options. A couple of area towns are also also selling access to non-residents. Shout out in the comments. And for more tips on what to do with your kids this summer, you can pull down stories from the Features menu. *Both Hopkinton and Cochituate websites warn that parking may be closed when they reach full capacity. I’ve never experienced that at Hopkinton and I’ve been there on very busy days. I couldn’t tell you how commonly that occurs at Cochituate.